Methylprednisolone could significantly decrease postoperative pain score, narcotic consumption and opioid-related adverse effects after total knee arthroplasty (TKA), reports a meta-analysis published in the International Journal of Surgery. 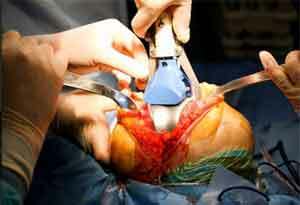 Pain management after arthroplasties has become a serious problem. Sheng Shen and his associates performed a meta-analysis from randomized controlled trials (RCTs) to examine the efficacy and safety of methylprednisolone in the setting of postoperative pain after total knee arthroplasty. The researchers extracted data from Medline, Embase, ScienceDirect and the Web of Science. Eligibility criteria included participants with knee osteoarthritis who prepared for TKA. The intervention groups received methylprednisolone in the management of postoperative pain. The control groups received placebo. The primary outcomes were the visual analog scale (VAS) scores and narcotic consumption. The secondary outcomes include adverse effects (gastrointestinal events and pruritus) and postoperative complications (deep venous thrombosis, pulmonary embolism, and infection). Patients who received methylprednisolone had significant reductions in pain score vs those who received placebo at 6 hours,12 hours and24 hours. Narcotic consumption was significantly lower in patients who received methylprednisolone at 6 hours, 12 hours and 24 hours. The risk of adverse events (nausea, vomiting, and pruritus) was significantly higher in patients receiving placebo. Postoperative complications were not significantly different between groups. The study concluded that Methylprednisolone is effective, safe and significantly decreases postoperative pain score after TKA. Knee replacement, also known as knee arthroplasty, is a surgical procedure to replace the weight-bearing surfaces of the knee joint to relieve pain and disability. It is most commonly performed for osteoarthritis, and also for other knee diseases such as rheumatoid arthritis and psoriatic arthritis.